Christmas is coming, the geese are getting fat, and the MR team is yet again browsing the classifieds in the hope of a winter bargain. But what would we most like to see underneath our Christmas tree come the 25th? 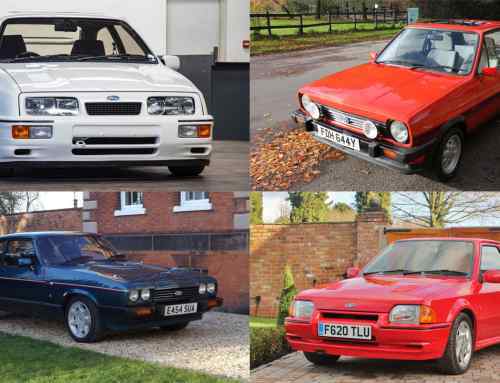 We’ve allowed each team member to choose three retro cars each… do you agree with our choices? Bear with me. This isn’t as mad an idea as it may sound. 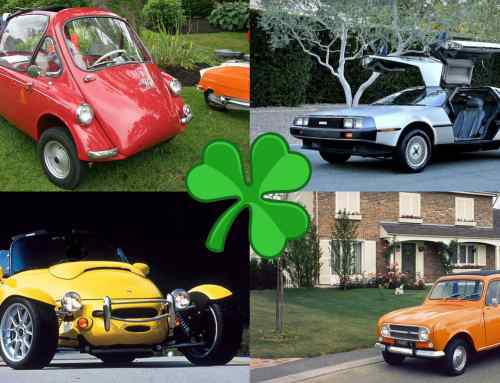 Not only do Reliant three-wheelers have a serious following (there’s even a club), I also think they’re probably the most fun you can have for less than £1,000. Seriously. Open up Youtube, watch videos of enthusiastic owners driving them on two wheels (no, ignore that Top Gear clip) and tell me you don’t want one. A ropey, underpowered 5 Series aside, I’ve never owned a proper barge. And I’ve always wanted a Jaaag. The X350-shape XJ is now teetering on the edge of modern classic status, with prices of good ones surely coming close to bottoming out. I’m not after performance – I’ll get my thrills from the Rialto – so a wafty XJ6 will do me happily. My choices are starting to look a little Brexit, so let’s plump for a true ‘world car’ to complete the trio. I’ve obsessed over Mk1 Mondeos since my parents had one each in the early 90s and, despite verging on extinction, they’re now practically worthless. If I can be picky, I’d go for a high-spec Ghia X with the 2.5-litre V6, but I’d be equally happy with a lesser model. I’d love to own another Accord Type R, but right now, I find myself yearning for a regular fifth- or sixth-generation Accord, powered by the rev-happy 2.2i VTEC engine. I just love the way these things drive and how they are screwed together. If the proverbial one-owner-from-new and full service history Accord 2.2i turns up on eBay – or more likely, Gumtree – I’ll be on it like a BBC sports journalist. The original Renault Clio has aged as well as one of the bottles of wine found in Papa’s cellar. In fact, a good example would probably turn as many heads as Nicole. For me, a Clio Baccara, complete walnut trim and leather upholstery is a thing of beauty, although, with fewer than 30 road-registered examples in the UK, I’ve got more chance of a dinner date with Estelle Skornik as I have of finding a pristine Baccara. Le sigh. Have you ever woken up in the middle of the night to look for a Proton Impian on eBay? No, well I’d politely suggest that you haven’t lived. Who could resist the lure of a sleek, four-door saloon with Lotus ride and handling and a ‘powerful’ 1.6-litre petrol engine? Show me a GSX, with its cheap leather and wood-rimmed steering wheel, and I’m in Malaysian heaven. Better still, I’d go to Hull and back in search of an ex-Humberside Police Impian. Wedge of Christmas cheese? How about a wedge of Austin Princess instead? Technically, of course, it was just ‘Princess’, thanks to badge engineering that made sense at the time, and also saw it sold by Morris and Wolseley dealers. I yearn for the purist hexagonal headlights though, and a nice smooth straight-six auto powertrain, and some period brown velour seats complete with ingenious inbuilt armrest. I test-drove one once, but didn’t buy it. I still regret this: it was lovely, and would’ve been a charmingly relaxing way to drive home for Christmas. I’ve hankered for a Calibra ever since they were new. I remember visiting the Vauxhall dealer with my dad, swooning over one: he was shopping for a new Cavalier company car – sadly, the Calibra wasn’t on the list. A brilliant Vauxhall marketing, including a magnificent TV ad, was exceptionally influential on the 11-year-old me. It’s such a pretty, perfect car. What a Christmas present it would be. The posh Mazda: but unlike Ford with its Vignale trim line, Xedos were fully-bespoke creations, and the original Xedos 6 was the prettiest of the lot. Super-smooth and rounded surfaces were as curvaceous as a coupe and, under the bonnet, the delectable V6 engine was exceptionally smooth and appealing. This has got retro cult classic potential all over it, and I’d love to grab a launch-spec metallic maroon one before it’s too late. I’ve been lucky enough to drive quite a few classic 911s this year – but not a 2.7 RS. Our insurance policy only stretches to £300k, and a perfect example of the original Rennsport is near-as-dammit £1million. So, when I organised a twin-test between Touring and Lightweight versions of this ultimate 911 – the inspiration for a thousand ‘backdated’ SCs and 964s – I had to stand and watch from the sidelines. Getting one for Christmas would permit me to scratch that itch. A year’s insurance would be handy, too. Cheers. Am I losing touch with what’s cool? 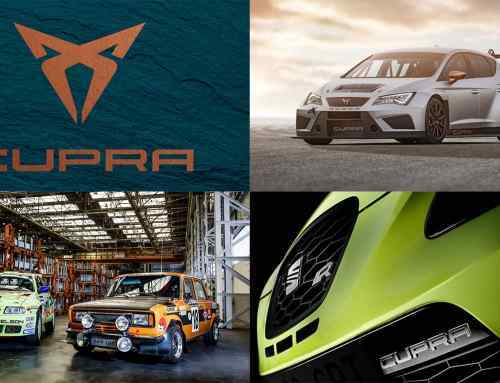 I’ve reached a stage in life where everything on Radio 1 sounds more-or-less the same and my sense of fashion (never that finely-honed, admittedly) is fading – not least when it comes to cars. This year has seen an unprecedented number of crossovers hit our streets and, I’m sorry, but these high-riding hatchbacks simply aren’t cool. 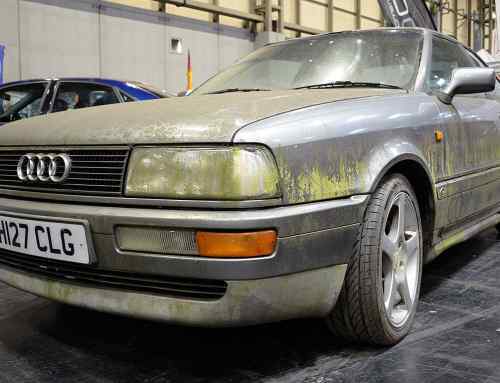 The Mk2 Golf Country, however, unquestionably is. And this is my Christmas list, so I decide. OK? I could trot out the usual Colin McRae and ‘Playstation generation’ clichés here, but I’ve never been a huge fan of rallying – and the R33 Skyline was my Gran Turismo weapon-of-choice. No, the 22B makes the cut because it’s the top-dog Mk1 Impreza: rare, wide-bodied and intensely special. Even today, there are few cars that can dispatch a British B-road with such staggering speed. Or look so phenomenal doing so. With sporty alloys and flared arches, the Ford Mondeo ST220 really looks the part. Thanks to its 3.0-litre V6 engine, it also has the performance to match. With 226hp, it can accelerate to 62mph in 7.0 seconds. While the picture above shows the saloon model, I think I’d prefer an estate… because wagons are cool, right? Being an AMG fan, this was a no-brainer. Built in the late-80s, the 560 SEC (an early S-Class) houses a meaty 6.0L V8 engine pushing 390hp. Its performance and power is accompanied by an aggressive widebody kit and AMG-designed alloy wheels. It’s hard to think of reasons why you wouldn’t want a Defender. Whether you’ve got a hill to climb, snow to push through, or a river to cross – this authentic Land Rover will conquer it all. For over 68 years, the Defender has become one of the most recognisable 4×4 vehicles available to buy, and that still stands today.